Living a Fit and Full Life: Entertain Kids with Dinosaur Detective's Search-and-Find Rescue Mission by Sophie Guerrive! Entertain Kids with Dinosaur Detective's Search-and-Find Rescue Mission by Sophie Guerrive! Entertain kids with Dinosaur Detective's Search-and-Find Rescue Mission by Sophie Guerrive! My kiddos absolutely love this book because it combines their favorite things like dinosaurs and search and finds. The pictures throughout this book are awesome and make the challenge of finding the hiding items just challenging enough to make it fun. My kids never once got frustrated and I love that all of my kids were able to enjoy this book, from my 2 year old to my 9 year old, they each had a blast finding the hidden items. I also love that Dinosaur Detective's Search-and-Find Rescue Mission by Sophie Guerrive is a hardcover book so it will stand up to little hands. I often find my kids looking through this book on their own to search for the hidden items so I also really like that it's something we can do together or apart. 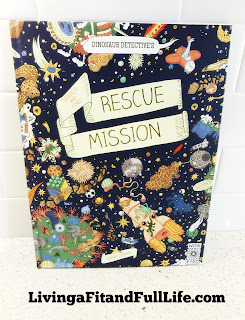 Dinosaur Detective's Search-and-Find Rescue Mission by Sophie Guerrive is an amazingly fun book, especially for kids that love dinosaurs! 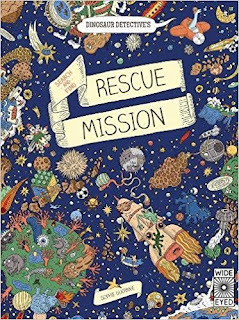 You can find Dinosaur Detective's Search-and-Find Rescue Mission by Sophie Guerrive on Amazon, Barnes and Noble and other bookstores.